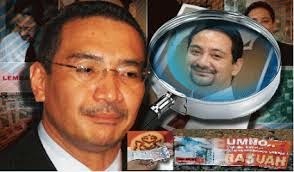 Well if you hadn't noticed it yet the battle lines have been drawn, it is the same darn thing all over again,and it will be played in the same way, although behind the scenes Muhyiddin giggles, he is feeling on top of the world because and like Najib with Badawi, he does not have to lift finger. 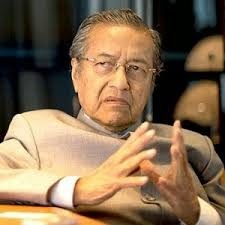 Mahathir Mohammed is again the king maker and the king breaker, he put Badawi up there and he got rid of him, he placed Najib up there and he will now remove him too, he can't wait, he is wasting precious time, and the time if lost will cost him and his family greatly. He has begun delivering his sermons of fear all around, he is making sure to drive home the point that Najib is ruining the country and in saying that very few will disagree with him for sure, he and his favorite adopted daughter - Sharizat are stepping up the ante, he has got Mukhriz to keep very quiet and maintaian a low profile, Muhyiddin is playing his part very well and has used the Cameron Highlands mud slides and the illegal farms to go for Adnan Yaakob the menteri besar of Pahang,a direct affront to Najib who is from that state and has the MB as a staunch supporter. Mahathir has already called for the the ouster of the Head of Selangor UMNO and that is the PM himself, he has said that if the leadership is not changed Selangor will be lost again in the next General elections. He has described the Selangor UMNO as out of touch and not trusted by the people of Selangor. He has openly said that Selangor UMNO is corrupt and he is sure they will lose if Najib remains at the helm, so sure some sources say he will make sure one way or the other to prove his point. Najib as usual remains quiet, he takes his wife to world meets and let's her steal the limelight off him, she is the target of all UMNO members who are against Najib and it is said she will be an issue at the next General assembly, and it will be raised by the wanita and the youth. Certain segments of the youth are now being shifted to show that they are pro-Najib when they are actually Mukhriz supporters, they will raise the issue of Rosmah during the youth meeting claiming she is undermining the elected officials of UMNO and elected representatives giving specific incidents. against him, they are expecting such an upheavel one UMNO member said it will be worse than a DAP attack on the PM by his own party and using the DAP to describe such a situation is taboo in UMNO and all UMNO members know that. Najib of course will not quit, Johor UMNO is expected to raise the war cry and they will be funded by top Johor brass, the MB of Johor has put the mechanisms in place to ensure that funds are sufficient for this adn it will flow in as and whne required. The question is; will Najib dare go back to the National coffers to raise funds for his campaign? Not likely, says one UMNO man who is in the ministry of finance he has already done irrepairable damage he can't afford it, "if he does Mahahtir will have the fire to burn him alive," said the source. 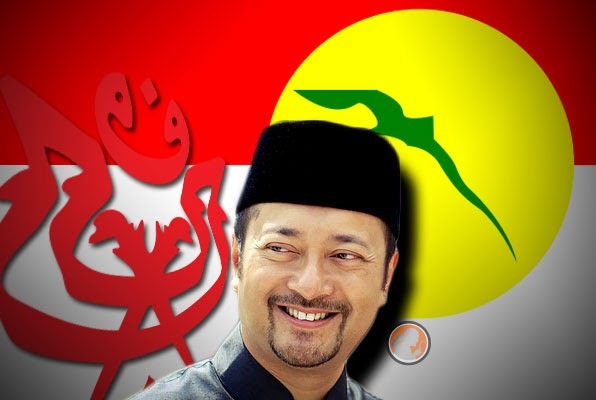 Muhydiddin has to go for the post and he will appoint Hishamuddin to replace him and in so doing strengthen Mukhriz chance for one of the VP positions, in fact Mukhriz will be appointed there just like Hishamuddin will be appointed the Deputy President of UMNO. The scenario is reminiscent of the moves Hussein Onn played when he moved Mahathir over Razaleigh, Musa and the rest to Deputy PM. 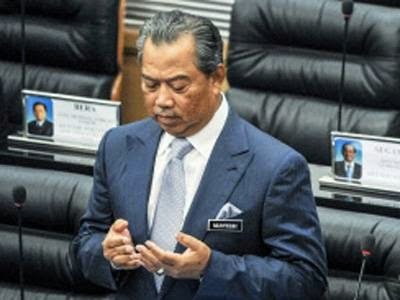 The financial situation in the country is expected to make both Muhyiddin and Hisham the shortest serving PM's in Malaysian history if they ever get to be PM's. 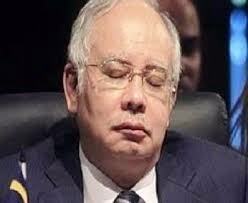 Mahahtir is not ready to lose the next elections to achieve his dreams he is bent on burying Najib before he does just that, An UMNO loss will ruin the succession plan Mahathir has in mind surely spell the death knell of his UMNO Baru. How do the people see it? Well they like the fight, they prefer if Najib stays on and does not give in to Mahathir, not that they love him but rather that they abhor him. They believe Mahathir, he says, if Najib remains, the BN will be kicked out and UMNO will be turned into a toothless tiger. Why is that so some ask? Well the people dislike UMNO remember the majority of Malaysians voted against the BN, they lost the popular vote many a Malay voted against UMNO and UMNO has to accept that as a fact they lost even in their strongholds. The Chinese have long been voting the opposition it was because the Malys joined them in 2008 and 2013 that they felt the wrath of the people. UMNO does not want to make matters worse so instead of blaming the Malays who voted against them, in true UMNO fashion they pick the "bogeyman" and the Chinese have been their faithful "bogeyman" all the while, except that now the Malays have got wiser and UMNO can't fool them like they always do. Since that last elections,with all the controversies created by UMNO itself many of their ardent supporters have actually jumped ship, with some even going to the DAP, something people never dreamed possible even five years ago, that is biggest blow UMNO is now facing, the winds of change are a blowing, the younger better educated and better informed Malay many of whom are children of UMNO stalwarts are now rejecting UMNO, and even showing their parents the way. DAP can't bemade the bogeyman either anymore these are tough lessons for UMNO to learn. So if Najib stays he the BN and UMNO will be kicked out at the next GE, and his own people will make sure of that, and if that happens even Mahathir's henchmen get kicked out as a result of the fall of UMNO. So the rationale is why kick Najib out just to win the battle and lose the war, instead of killing the two idiots with one stone. Mahathri will be very determined he knows that too, the stakes are too high, he'll try every move in the book and from the bush, he is good at bushwhacking, to make sure that either before for after the next UMNO General Assembly Najib is out in good time before the next General elections. Let the war begin. Najib was there when it was Badawi's turn. Now IT'S TOFFEESTURN say's it's Najib's turn. So Now it is the Bangladeshi?